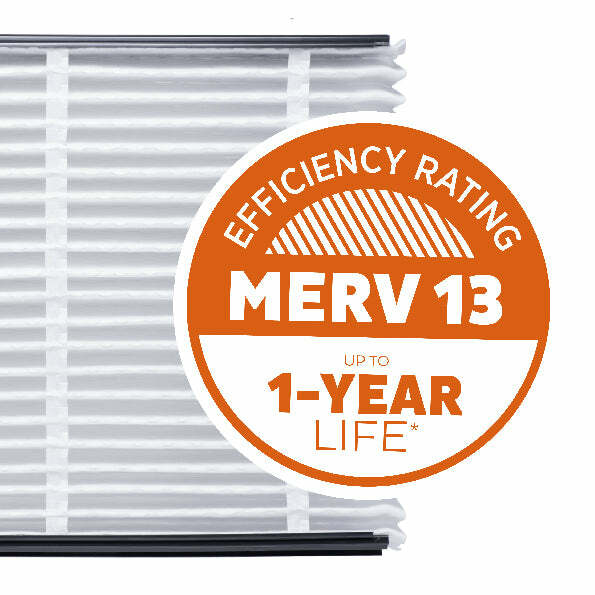 Aprilaire filters are second to none at increasing indoor air quality and supporting family wellness. If someone in your home suffers from allergies or asthma, you already know the negative impact that polluted air can have. No matter how clean you keep your home, it's likely full of harmful particles that can exacerbate allergies and asthma--and increase the likelihood of colds and flu. Aprilaire can help you control the purity of the air in your home with a whole-home and genuine Aprilaire Air Filters. The Aprilaire Interlock Rail System allows your high performance air filter to work without assembly, cardboard or metal reinforcements. Aprilaire air purifier filters are so effective at removing contaminants that are harmful to your family and your HVAC equipment, should your new indoor air conditioner coil require a professional cleaning in the next 10 years, Aprilaire will pay $100 toward a cleaning by an HVAC contractor. 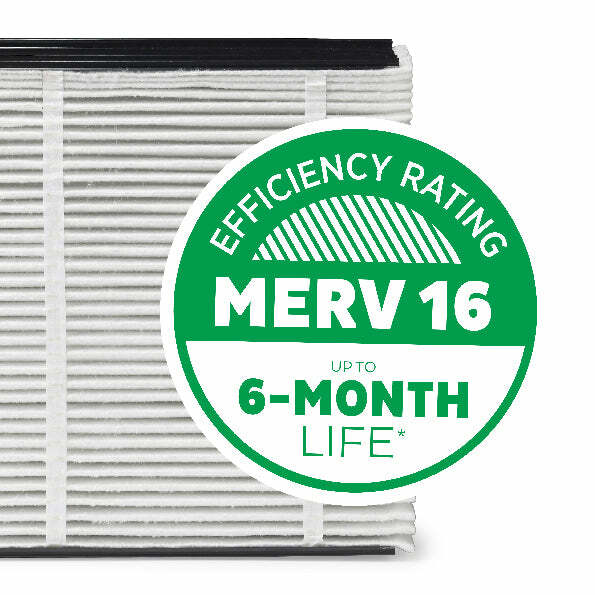 The only maintenance required for your Aprilaire Whole-Home Air Purifier is the periodic replacement of the disposable Aprilaire Air Filter which you can do in a matter of minutes. Simply follow the instructions on the filter carton to ensure that it is installed in the proper orientation - the outlet side of the filtering media is the expanded metal. The frequency of replacement will vary with operation time, the number of particles generated in the home and is affected by: the number of people and their activities, the amount of carpeting, pets, the size of the home, and pollution in the area. 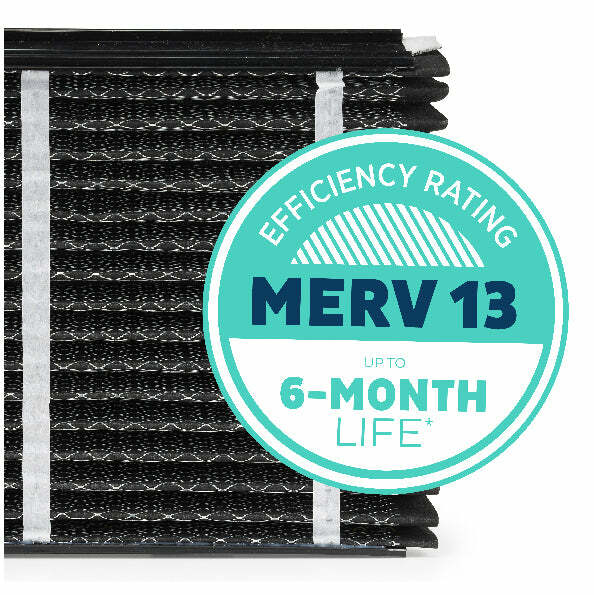 Depending on the type of filter you have, Aprilaire recommends replacing your filter every 6 months to a year. Aprilaire has a full range of indoor air quality solutions that work together to make your home more healthy, comfortable and energy efficient. 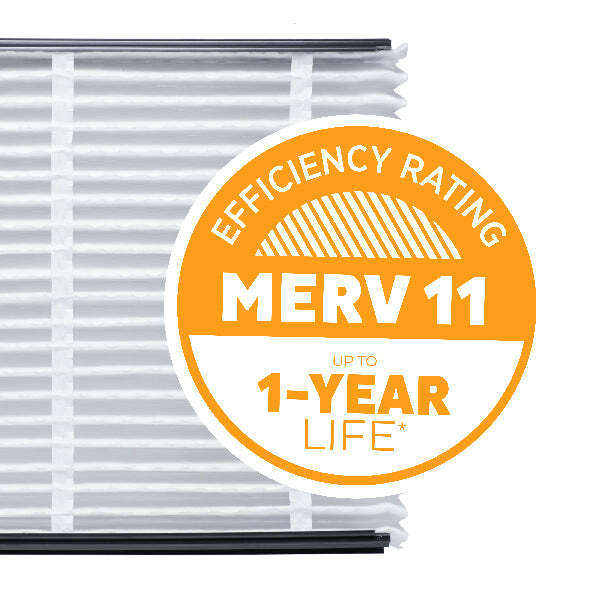 Aprilaire filters provide the best fit and performance for customers seeking to increase indoor air quality and home efficiency.